If black licorice is among your candy stash this Halloween, be careful not to eat large amounts all at once, the Food and Drug Administration warned. Glycyrrhizin is a sweetening compound derived from licorice root, and this ingredient is found in black licorice. When eaten in excess at once, it lowers potassium which could lead to irregular heart rhythms, according to the FDA consumer report. “If you’re over 40 years old with pre-existing conditions, eating two ounces of black licorice a day for at least two weeks could land you in the hospital,” Peter Cassell, press officer for FDA told NBC News. 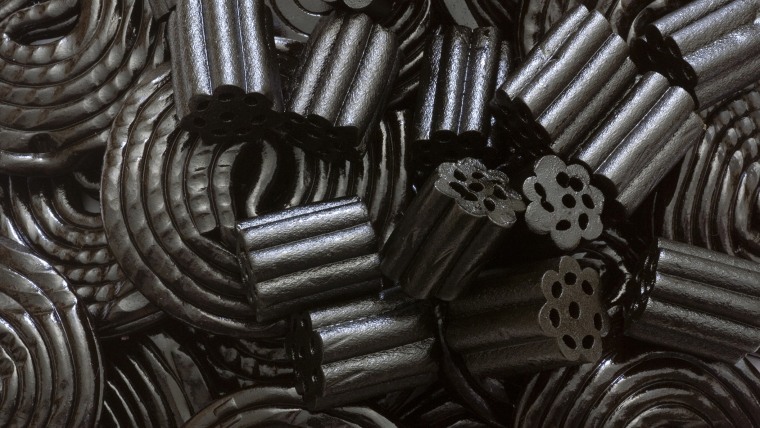 Several medical journals have linked black licorice to health problems in people over 40, he said, and some had a history of heart disease and/or blood pressure. When consumption for black licorice stops, potassium levels are restored with no permanent problems. No matter your age, don’t eat large amounts of black licorice at one time. If you have consumed a large amount of black licorice and have an irregular heart rhythm or muscle weakness, stop eating it immediately and contact your healthcare provider. Black licorice can affect some medications and supplements. Speak with a healthcare professional if you have questions about possible interactions with a drug or supplements. Although there is little evidence supporting its effectiveness, licorice root is used to treat chronic hepatitis C, skin rashes and digestive problems.